It’s set to be one of 2017’s hottest PC games, but there’s still some crucial stuff we don’t know. Before we get into this, let me be candid and say that there isn’t a game coming to PC this year that I’m more excited about than Destiny 2. I can’t wait to pop the rest of the team’s raid cherries and I’m already planning a PC Gamer clan so we can do space magic together. All our writers who’ve played Destiny 2 have come away impressed with the technical quality of the PC version and how that sweet Bungie gunplay has been transplanted to mouse and keyboard. It even scooped the critics’ award for PC game of the show at E3. But there’s always a but. Having sunk an indecent amount of time into the original and its expansions, I also know well enough that Bungie is prone to making some, well, let’s say esoteric design decisions. And a few of the things I’ve heard about the sequel, based on my own interviews and elsewhere, have left me with lingering questions that likely won’t be answered by the August PC beta, which looks set to lean on content that’s already been shown at the reveal event and E3. So for this article, in the interests of balance to my previous praise, I’m going to outline the nagging issues that risk taking the shine off Destiny 2. Bear in mind that there’s still a ton we don’t know, like exactly how Lost Sectors and Flashpoints work, but these are the questions I’ll be looking for answers to between now and the PC launch in October. 1. Will Destiny 2 suffer from the same content droughts as the original? This is by far and away the biggest issue facing Bungie’s sequel. As any player who stuck out the first three years of Destiny will tell you, it got rough between content releases. Even The Taken King expansion, which fixed a lot of balance and economy problems with the endgame, lost its sheen once it sank in that we’d be stuck playing the same raid for a year. Bungie might insist its game isn’t an MMO, but the reality is that’s exactly how the players treat it, which means timely updates are an expectation. Almost no amount of content will keep the playerbase sated. While we don’t know exactly what those DLC packs will contain, the point is that there’s almost no amount of content that could keep the playerbase sated. As Bungie’s PC lead David Shaw acknowledged when I spoke to him at E3: “One of the things that we’ve found is that the Destiny player consumes content at a rate that we just can’t [keep up with]. As fast as we can possibly make it in the most optimal situation still wouldn’t be fast enough.” Shaw suggested that the team was hoping improved workflows, more interesting content, and a deeper end-game will help, but I wonder how much. When Destiny 2 was announced for PC I argued the only way to truly avoid content droughts would be with a Forge Mode-style feature that enabled players to create and share missions, or by adding a procedural element to some of the existing content so it would stay fresh. At present, there’s no sign of either happening, which means Destiny 2 will need to be both insanely replayable and have an incredibly tight schedule of Bungie-created additional content in order to stop staleness from setting in. Those are big asks. 2. Is the new character perk system actually an improvement? Destiny’s gentle RPG trappings enable you to pick perks which alter your Guardian’s core abilities. In the first game you had a free hand to choose perks from eight columns, depending on taste. This led to some pretty sweet builds, my favourite of which was the “energy drain” Voidwalker warlock that let you become a grenade-spamming vampire. 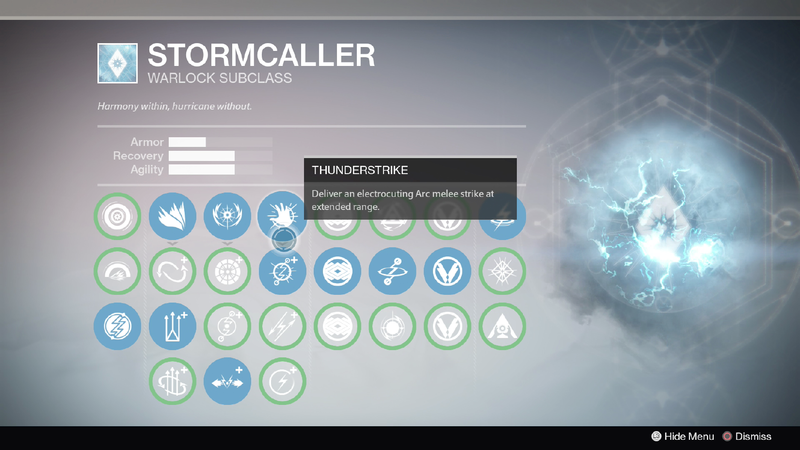 But rather than doubling down on this system and offering more choice, Destiny 2’s skill trees appear to be more restrictive. Note in particular the two diamond-shaped clusters of perks on the right of the screen above. Rather than mix and matching perks as you see fit, you have to commit to one of these two clusters and ignore the other. Bungie’s explanation for the change is that each cluster of four perks has been chosen specifically to enable synergistic builds, and examining the new Warlock Dawnblade subclass that certainly seems true—for example one diamond is devoted to accruing buffs for hovering. 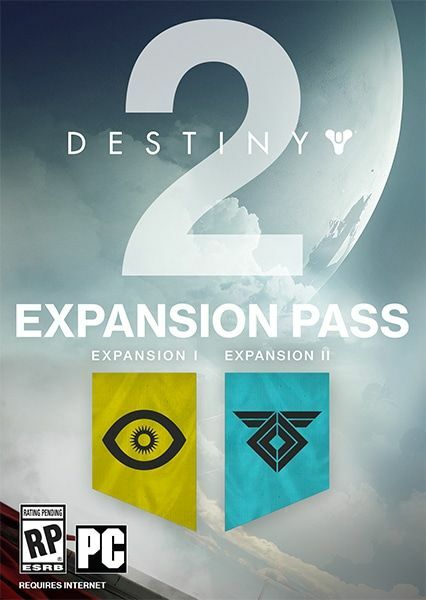 But my worry is that this is a game in which we’re hoping to spend 100s of hours, possibly more, and that means you’re going to want to experiment with more than whether to play as a Dawnblade option A or B.
Bungie has also said that it doesn’t want players to enter end-game activities and feel like they have to explain to their teammates that they need to respec their class because, to use a Destiny 1 example, not selecting Bastion on a Defender Titan’s Ward of Dawn is wrong. I can understand that logic, but it also points to a slight casualification of the experience. Something we’ll return to later. 3. Does the new weapon distribution system benefit PvP at the expense of PvE? Destiny 1’s multiplayer, which is better known as the Crucible, was clearly an absolute ballache to balance. Obnoxiously overpowered weapons like the exotic hand cannon Thorn took forever to be nerfed, Fusion Rifles seemed to get broken by patches designed to buff them, and shotguns have lurched between being absolute terrors and utterly unusable. Frustratingly, a lot of the sandbox team’s attempts to rectify PvP problems ended up creating unwelcome knock-on effects in PvE. For instance, when sniper rifles were deemed too strong, Bungie added a substantial amount of bullet flinch. Problem largely solved in PvP, but in PvE, where players take much more regular fire from swarming, low-powered enemies, the result was that any attempt to snipe while ADS made your scope bounce around like Tigger on bad trip. For Destiny 2, Bungie has made a radical change to how weapon class distribution works. Previously, you selected a primary weapon (scout rifles, hand cannons, etc), a secondary (shotguns, sniper rifles, etc) and a heavy (rocket launchers, machine guns, etc). Now you still have three weapon types equipped, but the secondary and heavy slots have been merged into a new category called power weapons. Your other two weapons will both be drawn from the primary class, but one will have an energy effect applied, making it better suited to shredding shields of the same element or taking out Guardians who are using their ‘supers’. Destiny 1 wasn't shy when it came to health pools, so if power ammo is going to be at a premium, bullet sponginess needs to be reined in. The upshot of that change is that it will be easier to balance the ammo economy in PvP, because the powerful one-hit kill weapons now all live in the same slot. However, whether that’s a positive for PvE feels more debatable. I’m not sure I want my shotgun to be something I only whip out for special occasions, and being able to combine a sniper rifle with, say, a rocket launcher made for more interesting decisions than it feels like being able to run two side arms is going to open up. Also, Destiny 1’s bosses weren’t shy when it came to health pools, so if power ammo is going to be at a premium, the bullet sponginess of enemies will need to be reined in. For all those concerns, on the back of the playtime we’ve had so far, weapon diversity is what I’m least worried about. I don’t think this kind of decision will have been entered into lightly, and during our hands-on I rarely felt like I was short on options. 4. Will the lack of ranked hold back the PvP community? The hope has to be that some kind of ladder will arrive, likely alongside the Osiris-themed DLC, which if I had to guess will probably also see the return of the Trials elimination mode, or whatever takes its place in Destiny 2. In Bungie’s defence, Overwatch didn’t launch with ranked either, though it did arrive a couple of months later. On the flipside Bungie has had a long time to think about how to get ranked right, so it’s surprising the answer seems to be ‘not yet’. Perhaps the explanation lies in how players spend their time in Destiny 2. People seem to assume the split between PvP and PvE is roughly equal, but as the slide above, taken from a Bungie GDC talk on User Research given in 2015 shows, PvE activity actually dwarfs PvP. So it makes sense for the developer to spend commensurately more resources on creating features for PvE players first. Hence no ranked. 5. Will the lore be as rich second time around? The standing joke with Destiny 1 is that it didn’t ship with a story at all, and there’s some truth to that, given the cataclysmic rewrite that went on late in development. Characters like the mysterious ‘Exo Stranger’, and even the main antagonist—a nebulous, never-seen force dubbed ‘The Darkness’—were obvious band aids used to cover chasmic holes in the hastily reconstituted plot. Nonetheless, there was an incredible world to be found for those willing to look. Squirrelled away in item descriptions and Grimoire Cards (which didn’t even live in the game!) was a deep, esoteric, at times almost Dark Souls-ian world waiting to be found. And led by lore nerds on YouTube like ‘My name is Byf’, much of that world has been pieced together from those fragments, lovingly mapped across lengthy videos and podcasts. The Exo Stranger: Rest in peace, sweet gibberish-spouting princess. Little wonder then that that community is kinda bummed that Bungie has come out and said they’re basically done with the Exo Stranger and references to The Darkness are being expunged from Destiny 2. Instead, much as The Taken King focused squarely on the invasion led by the hive god Oryx, so Destiny 2 will be devoted to telling the story of the Cabal attack on Earth by Dominus Ghaul, warlord of the Red Legion. Which, don’t get me wrong, looks badass. And I get why the developers want to tell more of their story in the game, rather than in text docs which live outside of it, but I worry there might be a net loss in terms of overall volume of lore as part of that casualification mentioned earlier. Goofy though much of the original story was, having those threads left hanging, even if it results in a clearer narrative for Destiny 2, is always going to feel like unfinished business for super fans. But hey, I guess when your game is intended to last for 10 years, that’s not such a bad thing either.